It might not surprise y’all to know that Monica and I pull out all the stops when it comes to camp cooking. Rather than see camping as a need to pare down and go simple, we take it as a chance to eat well in some of the prettiest places you’ll ever visit. If you’re car camping, or talking hunting or fishing camp, you not only can bring what you want, you should. You’ll want some form of flat top of course; a big old cast iron skillet is perfect. And make sure you include your Dutch oven, it’s a must for great camp cooking. 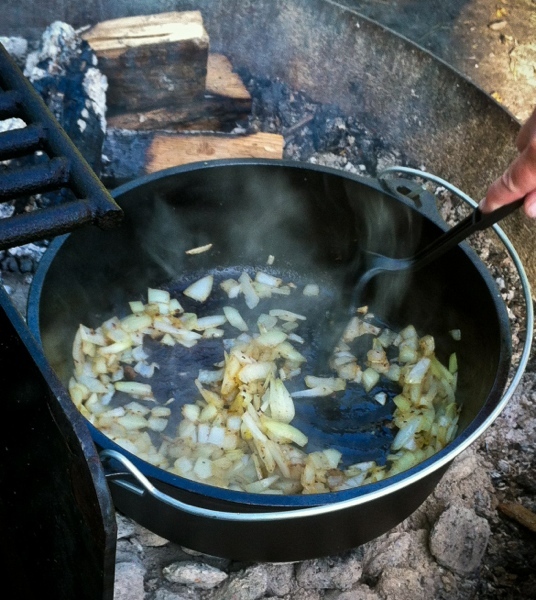 A Dutch oven is a must for great camp cooking. Without a doubt, the most important meal of the day out there is breakfast; that’s where your fuel comes from for the fun to come later in the day. With the Dutch oven, baked eggs, quiche, frittatas, biscuits, cinnamon rolls, Dutch babies, and dang near anything else you like for breakfast is absolutely doable. Just do a bit of pre-prep at home, measuring and combining ingredients so that it’s a quick and easy job at the camp end of things. Here are a few tips to help you have a great outing. There’s nothing finer than campfire cooking. Make some genuine camp coffee. Pull the guts out of a percolator, or just use a pan if you like. Do it up right, on the fire or in the coals if you’ve ’em; a Coleman or camp stove will work just fine if you’re camping in a no fire area. Here’s the scoop. Use a nice, dark roast, medium ground, (a bit rougher than you’d use for a drip at home.) Crush your eggs shells and throw everything into the perc or pot and cover it. Bring to a full boil, then move the pot to lower flame or coals and simmer, covered, for about 6 minutes. Remove pot from heat and Let stand, covered, until the grounds settle, about 2 minutes. Carefully pour off coffee, leaving the grounds and shells in the pot. Even Fannie Farmer herself used this method; try it, you’ll like it! Knowing and regulating the cooking temperature for a Dutch oven is the real trick. First things first, decide whether you’re going to use charcoal or wood. Charcoal will give you the most consistent heat and control, so that’s what I prefer. Use high quality hardwood briquettes and avoid the self lighting crap; it burns much hotter and doesn’t last as long as the good stuff. Good charcoal will provide at least an hour of cooking: For recipes that take longer than that, pull expended briquettes and replace them with fresh ones. Keep in mind that the Dutch oven is already hot, so you only need to replace a few briquettes at a time. Here’s the general rule of thumb for heat regulation with a Lodge or GSI Dutch oven. Note that briquettes are applied to both the bottom and top. To achieve 325° F, take the size of the oven, then use that number of briquettes less three for the bottom and that number plus three for the top. So, with a 12″ oven, you place 9 briquettes on the bottom (12-3) and 15 briquettes on the top (12+3). Adding one set of briquettes (one on top and one on bottom) will raise the temperature of the Dutch Oven approximately 25 degrees, (Conversely, removing one set of briquettes will lower the temperature by 25 degrees). Here’s a handy little chart that’ll help a bunch. That said, you do want to vary the ratio of briquette placement on the top and bottom of your oven, depending on what you’re cooking. Here are some guidelines. * For simmering food, place 1/3 of the total briquettes on the lid and 2/3 under the oven. * For baking bread, rolls, biscuits, cakes, pies, and rising cobblers, place 2/3 of the total briquettes on the lid and 1/3 underneath the oven. * For roasting meats, poultry, casseroles, quiche, vegetables, and non-rising cobblers, use an even 50% on the lid and underneath the oven. Heat placement around the Dutch oven is crucial to yield the best cooking results. Briquettes placed under the oven should be arranged in a circular pattern right under it and come to no less than 1/2″ from the outside edge of the oven. Briquettes placed on the lid should be spread out in an even checkerboard pattern. Avoid bunching briquettes; that’ll cause hot spots. 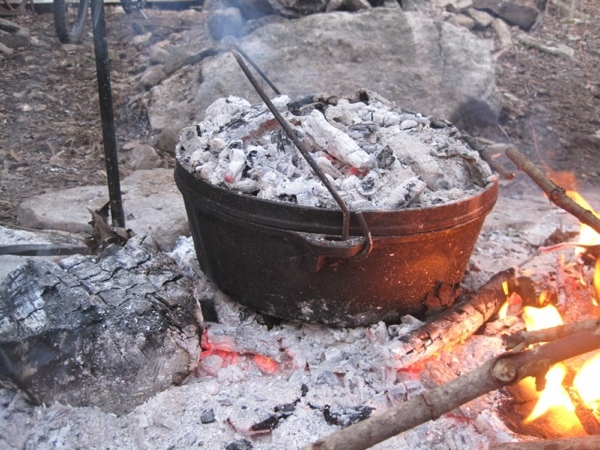 The Golden Rule of Dutch oven cooking is this; Go Easy With The Heat! You can always do things to get the oven hotter, but if you burn the food, it’s game over. 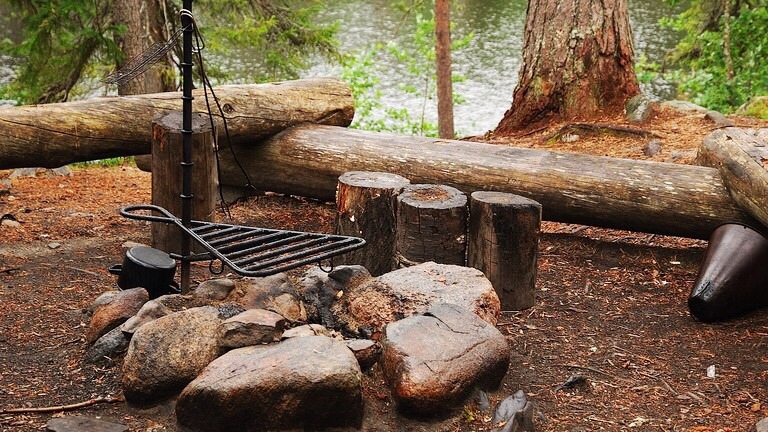 If you’re cooking over a camp fire, you can still use charcoal. Get the briquettes started in the coals of your fire and then cook with those. Again, it’s just a whole bunch easier to accurately regulate cooking with charcoal than it is with coals, unless you’re a real pro. Keep in mind that environmental factors, (Air temperature, humidity, altitude, wind), all influence how much heat is generated by burning briquettes. Cool air temperatures, high altitudes, shade, and high humidity will decrease the amount of heat generated by briquettes. Hot air temperatures, low altitude, direct sunlight, and wind will increase the amount of heat generated by briquettes. In real windy conditions, briquettes will burn faster due to increased air flow, and they won’t last as long. Last but not least for your oven, know how to clean and maintain it, and of you don’t, then trust the folks who make them to steer you right. Here are a couple of our favorite recipes for you to try on your next outing. At home, mix eggs, milk, sour cream, cheese, salt, and pepper, and blend well. Store refrigerated. At camp, stem, seed, and core tomato and jalapeño, then fine dice. Combine all ingredients. Add to a preheated Dutch oven. Follow the ratio for roasting, (50% – 50%), and cook for 45 minutes, then check dish. When eggs have risen about double height and the frittata is firm in the center, it’s good to go. Serve with salsa, more sour cream and toast. Here’s a great French Toast Casserole, perfect for the first morning in camp. The initial prep can be done at home, then set up for breakfast the night before in camp. In a mixing bowl at home, combine eggs, half-and-half, milk, sugar, vanilla, cinnamon, nutmeg and salt. Whisk by hand until thoroughly blended. Store blend in a Tupperware container with an airtight lid. In camp the night before breakfast, slice the Sourdough about 1″ thick. Arrange the slices, overlapped, in a large Tupperware container or bowl with a snap lid. Pour the egg mixture over the bread slices, making sure all are evenly covered. Lift the slices and make sure the batter gets all around the bread. Keep in a cooler until morning. On breakfast morning, carefully transfer the bread to a well buttered Dutch oven. Pour all the remaining batter in as well. Follow the briquette ratio for baking, (1/3 on bottom, 2/3 on top), and bake for 45 minutes, until the casserole has puffed up and turned light golden brown. Serve with warm maple syrup and butter. Gotta thank our friend Holly O’Reilly for sparking the creative flame on this one, so first off, go over to her blog and check out what she did. I responded with a ‘Yup, and it’s super easy!’ That made me wonder why it’s been so long since I’ve done it. I honestly don’t recall having prepped a bird this way in at least 20 years, which is truly a shame, because as Holly noted, it makes for a seriously juicy, crispy treat. So, why is that? Why would this method lead to a better bird? The answer lies in volume. Chicken on the grill, barbeque, or smoker is hugely popular for good reason, but it’s also likely the top candidate for being dried out and overcooked. That, as much as any other factor, is a function of portion size. The smaller the chunk, the easier it is to over do it. 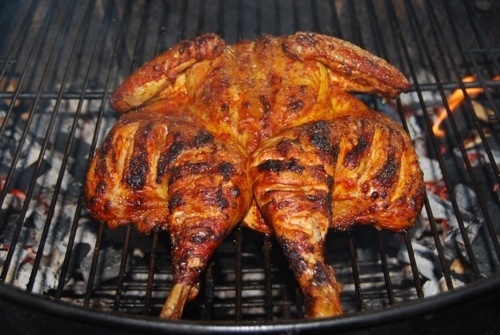 Conversely, a whole chicken makes a fine vehicle for staying plump and juicy on outdoor cookers. I’ll usually advocate brining chicken before grilling, but if you’re in a hurry or planning dinner last minute, get a whole bird, butterfly it, and you’ve no need of brine. Making a chicken relatively flat is easy as all get out, and if, like Monica, (Sorry, Babe), you have a love-hate relationship with sharp knives, it’s a perfect process for you. A pair of decent kitchen shears is all you need. After checking your birds for giblets, neck, etc, flip it over so it’s breast side down. Take your shears and line them up just to the right or left of the spine, and cut a straight line from cavity to pope’s nose. Repeat on the other side of the spine. That’s all the cutting you’ve got to do, (told y’all it was easy). Grab the spine and pull it away from the bird; there won’t be much left holding it on. Set that aside for stock making later. Flip the bird over, and arrange it evenly, then give it a squish with your palms. 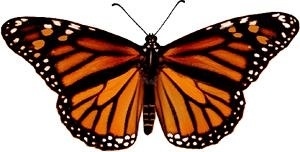 You’ll end up with a beautifully butterflied bird, ready to rub and cook. I tuck the wings in against the body, so they cook without burning before the rest is ready. We wanted something bright and smoky for the rub; here’s what we used. Combine all the dry ingredients in a spice grinder and give them a whirl. Add oil and lemon to dry in a small mixing bowl. Allow rub to rest for about 15 minutes, so flavors can marry. 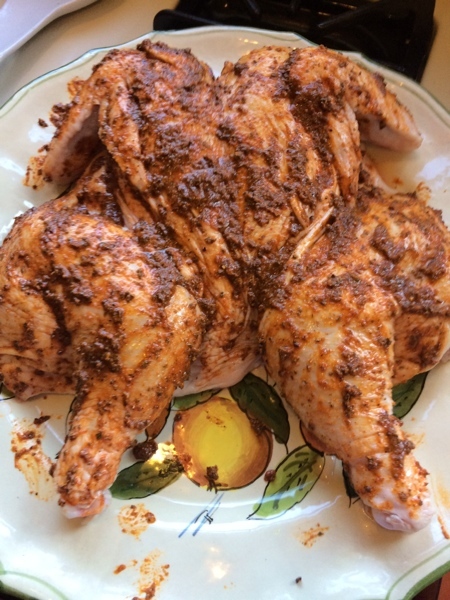 Rub evenly over the bird and allow to rest for another 15 minutes while the grill heats up. I did this one over gas with one flip, starting breast side up, at about 325° F, for an internal temperature of 155° F. Remove it from the fire for a 10 minute rest, and your internal temp ends up right at 165° F.
We served the bird with grilled, marinated asparagus, and a lightly grilled Romaine salad, both with a Dijon vinaigrette made with Champagne vinegar, and a nice, cold Hefeweizen. As Holly noted, there’re was very little left over, but there was went into the pot to make stock, as it should be. We’re talking stock and game birds over there! 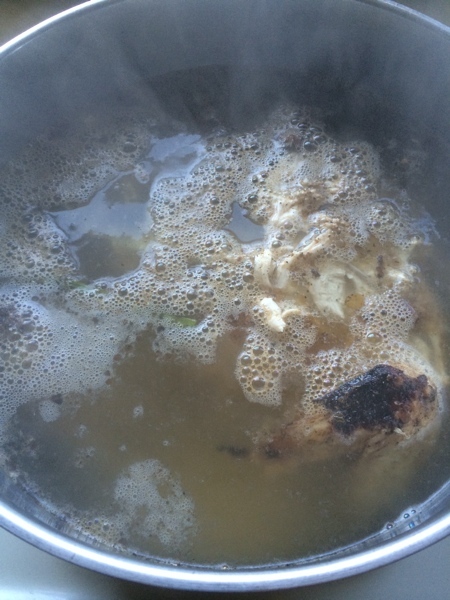 Big Wild Food – Cooking and stock making with game birds. 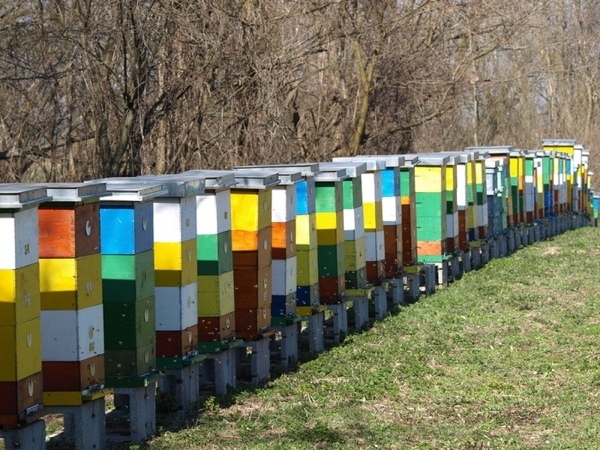 Catastrophic bee losses are a horror show beyond many you can imagine. The full scope of this just is not understood by enough people. Anything and everything we can do to stop and reverse the losses, if possible, just be done. Somewhere on the neighborhood of one third of the foods we eat rely on bees for pollination, and we’re losing them in droves. Our friend Lee, who runs the great Vegan food blog we recently linked to, sent the link to a great EarthJustice article on just how pervasive the crap we allow to go on is – ORNAMENTAL PLANTS TREATED WITH BEE KILLERS? Unbelievable, except that it’s true. If you use a smart phone, get the Buycott app, so you can look up, learn, and share. I think y’all need to read it, heed it, make it known and pass it on! Posted on May 23, 2014 Author urbanmoniqueCategories Current Issues, Outside, Reviews, Y'all Share!Tags bee friendly plantsLeave a comment on Save The Bees! Here’s a nice little piece over at Big Wild Food, (If I do say so myself, and naturally, I do). 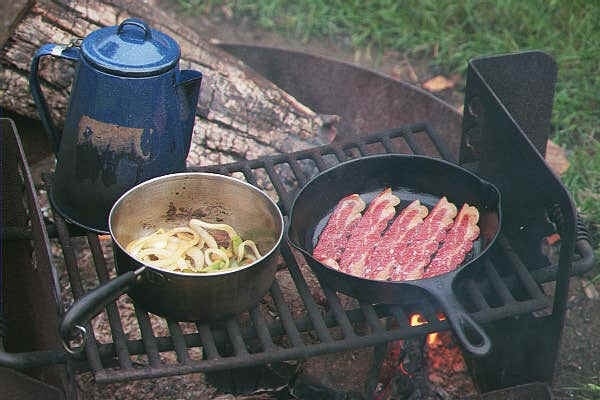 If you like to camp and cook, and you should, head on over and check it out. There’s also lots of stuff there for those of you who like to cook with fish and game. Little Darlin’s, it’s been a long, cold lonely winter; fact is, here in the middle of April, I’m still seeing snow pics from friends in the Midwest and Canada. Well, have faith, gang, the sun is coming and with it, grilling, barbecuing and smoking season, so let’s get ready for it. Whether you use a simple pot grill like a Webber or a thousand dollar, high end gas rig, they all need TLC before the season commences. Chances are your equipment’s been more or less inactive all winter; you didn’t clean any of it before you put it into hibernation, right? Then it’s cleaning time, first and foremost. Here’s what you need to do. Remove the grill grates and, if you’ve got a gas rig, disconnect the fuel from the grill, remove the flame deflectors and burners from the grill body. First thing, remove all old briquettes, burned whatever, and scrape as much grease and char off as you can by hand. For the deep cleaning, you’ll need a grill brush, a heavy duty sponge, a scrubby pad and steel wool, a bucket of hot, soapy water, another of hot, clean water, some rags, and some degreaser. I recommend Simple Green, it’s effective and environmentally sound, which is an attribute we should all be concerned with. Have at the entire grill with the degreaser first, allowing it some working time before you scrub. Move onto the soapy water, then the rinse, until your grill looks as close to new as you can get it. FYI, if you’re a heavy user, a mid-season cleaning won’t hurt. Thoroughly clean every component, including the grates. A seasoned grill is a good thing, but excessive grease and char build up can lead to flaring, burning and off-putting flavors in your food. A clean grill will last far longer than a dirty one as well. Now give your grill a point by point, detailed inspection of every component. Check grill and charcoal grates for rust, rot or missing and chipped porcelain. After they’re clean, dry, and inspected, you’ll re-season them. Check your framework and lid to make sure they’re all sound and there are no nuts, blots, struts, wheels missing or damaged. If you use a gas grill, check your tank, valve, line, regulator, burners and flame deflectors to make sure they’re clean and sound. Don’t screw around with gas parts; if they’re rotted or badly rusted, replace them. 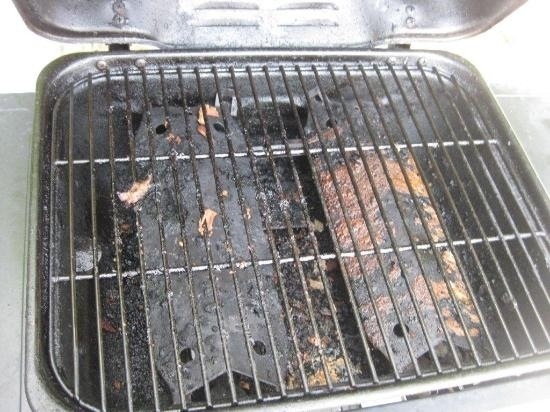 At the least, your grill will cook poorly; at worst, you could have a genuine explosion or fire hazard brewing. If you need parts, Home Depot carries quite a few, and of course there’s probably a local supplier not to far from most of us. 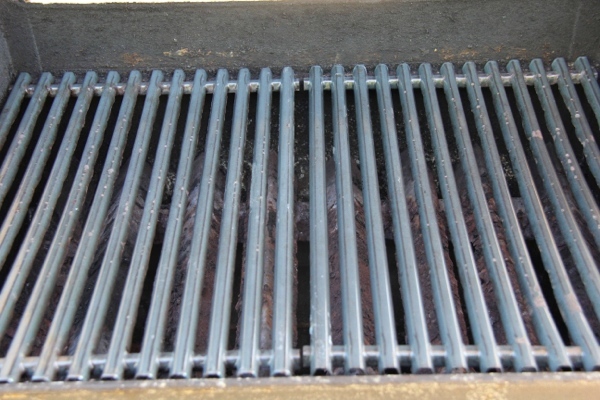 When you’re ready to rock, season your grates prior to first use. Soak some paper towels with cooking oil and thoroughly rub all surfaces of the grates. Turn on the gas or light a small charcoal fire and heat the grill to high with the cover open until the oil burns off, the. Turn the heat down to low and let the grill work for about fifteen minutes or, (or until your charcoal expires). Let the grill cool down, then wipe the grates down and reapply a thin coating of fresh oil; those last steps are always a good idea after grilling, to prepare for your next session and extend the life of the grates by making sure rust doesn’t form. So now grill is ready to rock and roll but… Got fuel? It’s the first thing we need and the first one we forget on. Friday night when you step out the back door with a platter of steaks. Start by inspecting any charcoal, smoking or seasoning woods and pellets, and gas tanks left over from last season. If any of your briquettes or woods got soaked, you’re OK if they retained their shape and what soaked them was just water. Set affected fuel out to dry and repackage as needed after they’re ready to go. If the soaking is due to inadequate storage, now is the time to correct that issue; establish nice, secure dry storage and maintain it; a nice airtight plastic bin is perfect for the job. If you use gas, make sure you’ve got fresh stuff handy; consider acquiring a second tank so you never run out when the cooking counts. While we’re on the subject of charcoal, it’s my advice that you avoid instant light products and charcoal lighter fluid like the plague. It’s bad enough that the stuff contains things you don’t want to feed your family, and even worse that they absolutely ruin the flavor of good food. Get yourself a lighting chimney that works off scrap paper and use that; it’s just as fast, far cheaper, and makes better food. And by the way, charcoal quality does count. Crappy generic charcoal is the equivalent of mystery meat hot dogs; you’ve got no idea what’s in there and it’s likely none of it is good. 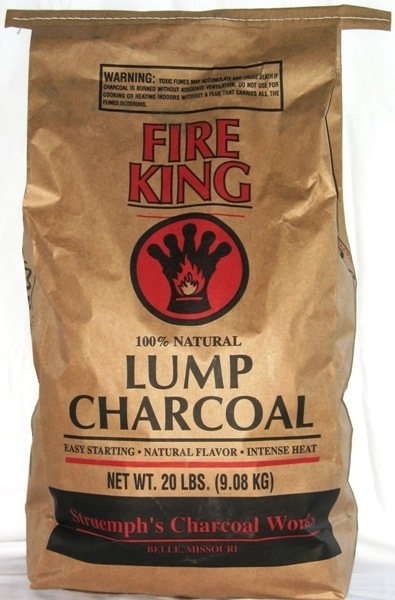 High quality lump charcoal heats better, longer and more consistently, and that too means better food. When you go shopping and buy stuff in bulk, take the time to break it down to typical meal sizes for your family, and freeze or store some in that form; this’ll make things that much faster when you feel like grilling or make spontaneous meal plans. The basics are great, but think about stuff you haven’t tried when you’re ready to grill; veggies, even romaine lettuce is great with a light grill to it, as are fruit like pineapple, peaches or pears for a desert, lemons to accent a grilled protein, or limes for guacamole. Try a savory note like olive oil or Rosemary for a great savory counterpoint to the fruit. And speaking of that, give this smoked guacamole recipe a try. Posted on April 18, 2014 Author urbanmoniqueCategories Outside, Tools & ToysTags charcoal, grill cleaningLeave a comment on It’s Grill Cleaning Time! My other food blog; here’s a great piece on Pheasant, both roasted and sausage. 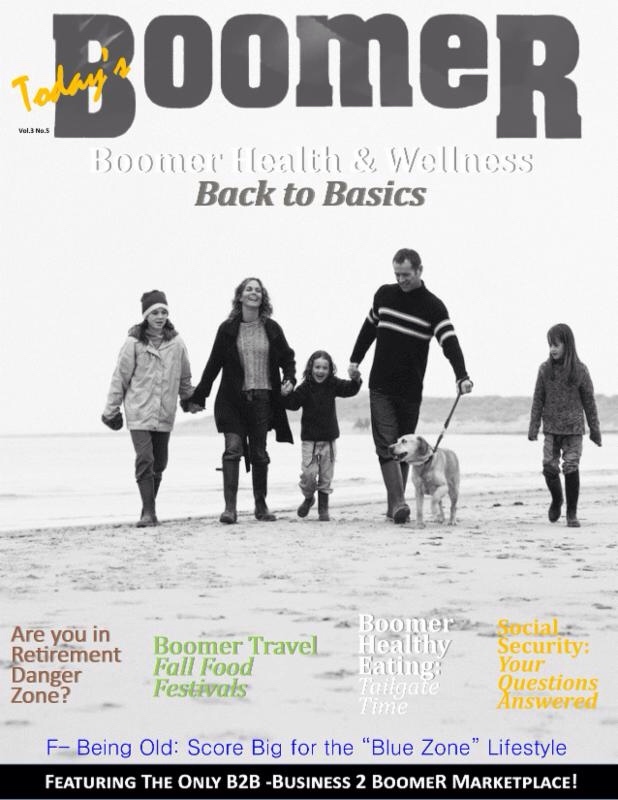 The contents geared more toward fish, game, and outdoor cooking, so stop in there as well. The best fish I’ve ever had hands down is an even split between Silver Salmon on the beach and Kokanee Trout at shoreside, both within an hour of being pulled from the water. Here are a couple great recipes to enjoy your latest catch. Prep these components the day before; everything will fit into a small bag or box for transport. Combine the flour, pepper, salt and cayenne in a ziplock gallon bag. In a small bowl, mix together mayonnaise, sweet pickle relish, and minced onion. Stir in lemon juice. Season to taste with salt and pepper. Refrigerate for at least 1 hour and up to overnight before serving. When you’re ready to rock and roll, fillet your fish, then drag the fillets through the dredge. Tap off excess dredge on side of bag. Fry for until golden brown. Rule of thumb is 10 minutes per inch of thickness, so 1/2″ fillets should be done in about 4-5 minutes with one flip for even browning. Serve with a nice local India Pale Ale; it’ll compliment the rich fish perfectly. When you’re ready to rock, fillet your fish. Melt 2 tablespoons butter in your frying pan over medium heat. Add lime juice and dill, blend thoroughly, remove from heat. Add the olive oil to pan and heat through. Sauté fish for 10 minutes per inch of thickness, until flesh turns white and flaky. Unless your fillets are really thick, you don’t need a turn. Spoon sauce unto fillets, serve with fresh French bread and a nice Pinot Grigio, which will cut the richness of the fish and clean your pallet for every amazing bite.